LUCAN Tidy Towns have come up trumps in the SuperValu Tidy Towns award contest, winning first place in the South Dublin County category. Its environmental group received the first prize of €1,000 for their efforts at keeping Lucan a tidy place to live in. 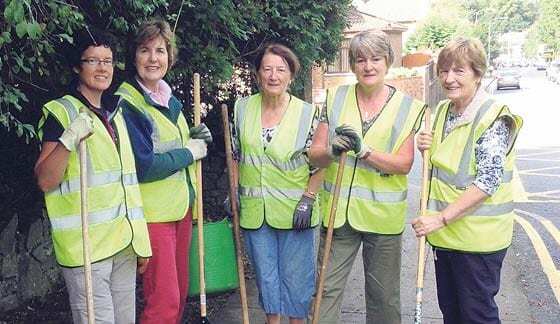 Mairead McGowan, a chief volunteer for Lucan Tidy Towns, is delighted with their success, and feels that Lucan is looking better now than it has ever looked before. She said: “Keeping Lucan tidy is our objective. We don’t just do it to win prizes for Tidy Towns – we do it to make Lucan a nice place to live in and visit. “There are about 20 of us altogether. 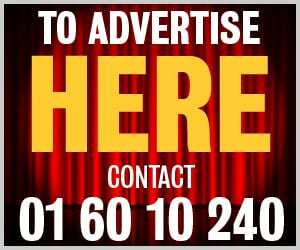 We meet every Saturday morning at 10am and also on Monday evenings in the summer time. We always have a big load [of work] set out for us. “We get lots of support from local councillors, but we still hope for more funding from the council. “Lucan Lions Club gave us a very generous contribution which helped us out greatly and they also look after us every year,” she said. McGowan also said that the local pubs in Lucan helped them to do very well. Cllr William Lavelle (FG) congratulated Lucan Tidy Towns on yet again winning the South Dublin category in this year’s Tidy Town competition, scoring 278 points this year. He was an active volunteer with Lucan Tidy Towns during 2013 and assisted with litter-picking operations in Lucan village. Cllr Lavelle is also chairman of the Lucan Village Network, of which Lucan Tidy Towns is a member. He said: “I wish to congratulate all the local heroes involved in the Lucan Tidy Towns during 2013. This was my first year as an active volunteer and I was even more impressed and amazed than ever at the level of commitment and hard work which so many local residents put in on a weekly basis to keep Lucan village looking well.